It's no secret that black and white buffalo plaid makes my heart pitter-patter. For that very reason, you will find this timeless print on many of the signs in my shop. 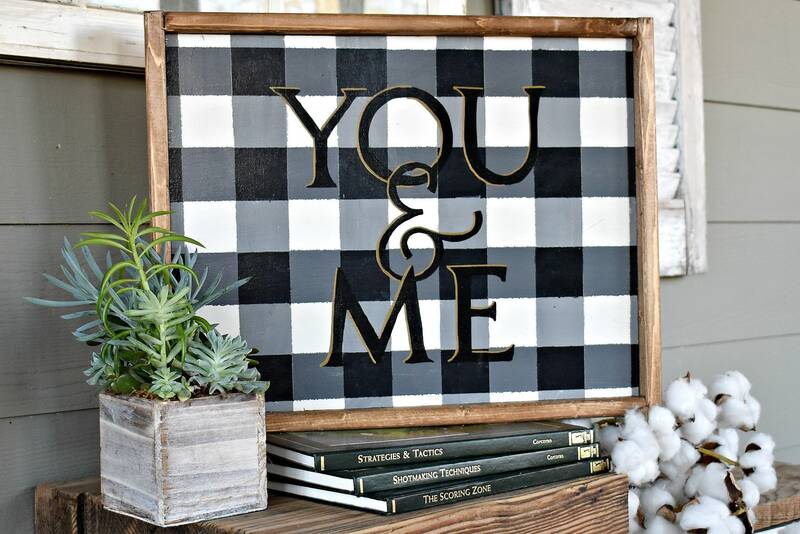 This cute sign reads "You & Me" and is painted in black with gold highlighting to make it stand out against the buffalo plaid. It's so cute y'all!